Which Part Of London Still Watches TV In Black And White The Most? Harry Rosehill Which Part Of London Still Watches TV In Black And White The Most? 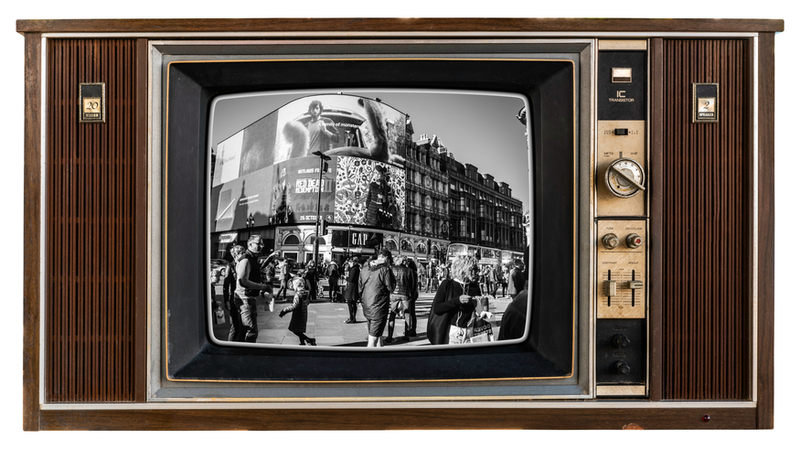 A surprising 1,768 Londoners still watch TV on old black and white sets. That's more than anywhere else in the country — nationally, the total number is 7,161. These figures from TV Licensing — remember to pay your TV licence fee folks — show how many people still cling onto the old technology in the age of internet streaming. The national number is shrinking — as recently as 2000 there were 212,000 black and white licenses in force. But which areas of London watch TV in black and white the most? TV Licensing has a breakdown by postcode area and it's fascinating. South east London (SE) leads the way, with 355 black and white viewers, followed by east (E) at 277, and south west (SW) 228. Bringing up the rear are west central (WC) and east central (EC), at 15 and 14 respectively — it should be noted these areas have much smaller resident populations. Whether you watch EastEnders, Strictly or Question Time in black and white on a 50-year-old TV set or in colour on a tablet, you need to be covered by a TV Licence to watch or record programmes as they are broadcast. You also need to be covered by a TV Licence to download or watch BBC programmes on iPlayer, on any device. There are hundreds of collectors like myself who have many black and white TVs. Who wants all this new-fangled 4K Ultra HD, satellite dishes or a screen that's bigger than your room when you can have glorious black and white TV! 30 years ago you could still buy black and white TVs, mainly small portables, for as little as £50 and it's interesting to know that some people still have them.